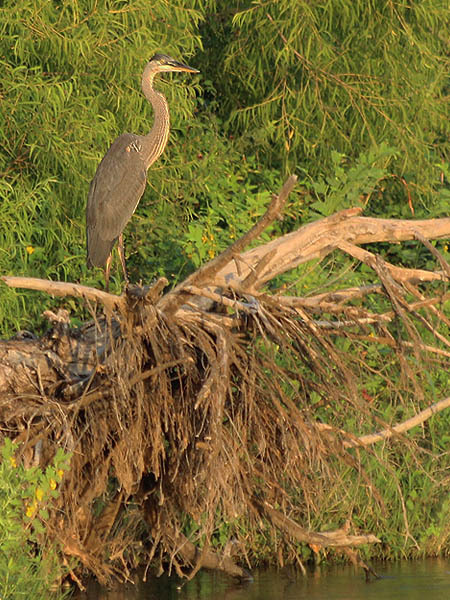 Where there were orginally three Tricolored Heron nests, there is now only one. 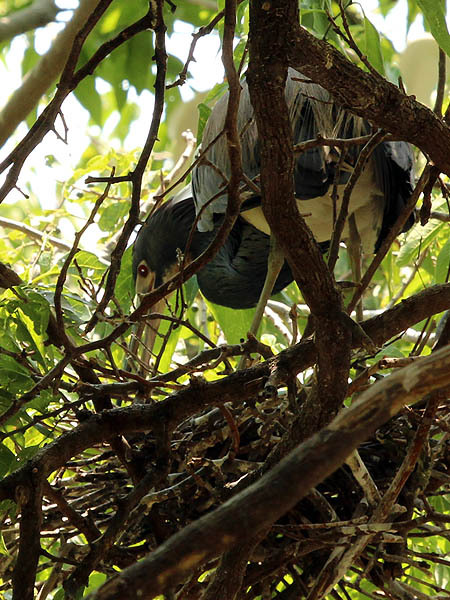 Tricolored Herons seem to be the least assertive of all of the birds at the UTSWMC and they frequently are forced to give up their nesting sites. Last week White Ibises came in and ran off the other two pair of herons. This individual seems to be holding out for the time being at least. 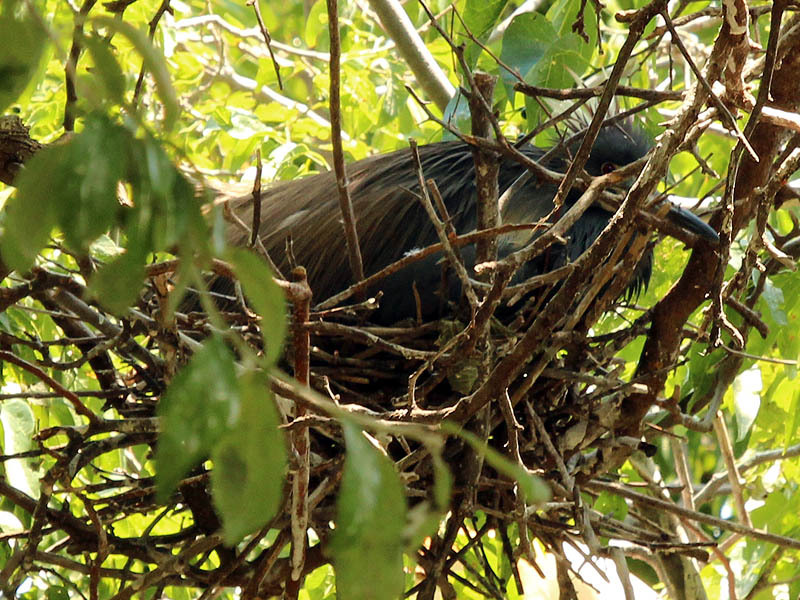 She even seems to incubating eggs. Maybe this nest will survive.